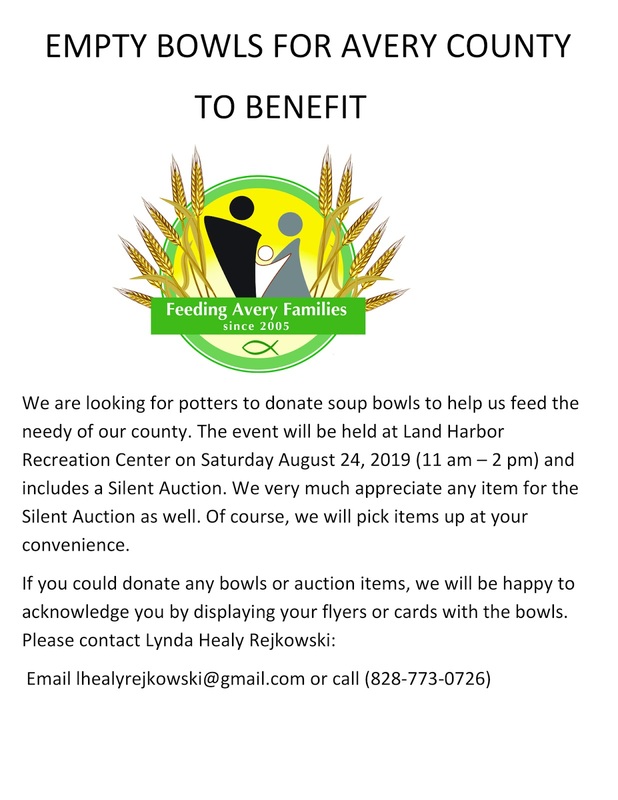 We are looking for potters to donate soup bowls to help us feed the needy of our county. The event will be held at Land Harbor Recreation Center on Saturday August 24, 2019 (11 am – 2 pm) and includes a Silent Auction. We very much appreciate any item for the Silent Auction as well. Of course, we will pick items up at your convenience.